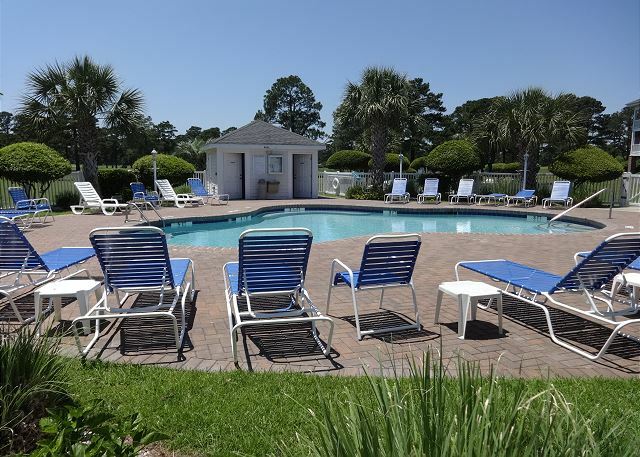 Grab a cocktail and relax after a day at the beach or golf Large flat screen TV, Free wireless internet! 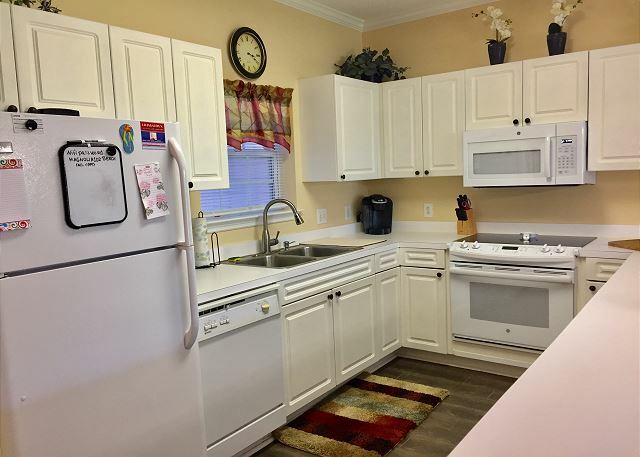 Kitchen has everything you need, pots, pans, dishes, cutlery, toaster, blender, and coffee pot King Size bed Guest Room- 2 Twins beds Master bedroom has a private on suite restroom Master bathroom has stylishl decor and a tub/shower combination. Flat Screen cable TV and restroom access Walk in Shower in the guest restroom Restroom accessible from the living area and the guest room The living area has black out drapes for privacy and to keep the sun out. 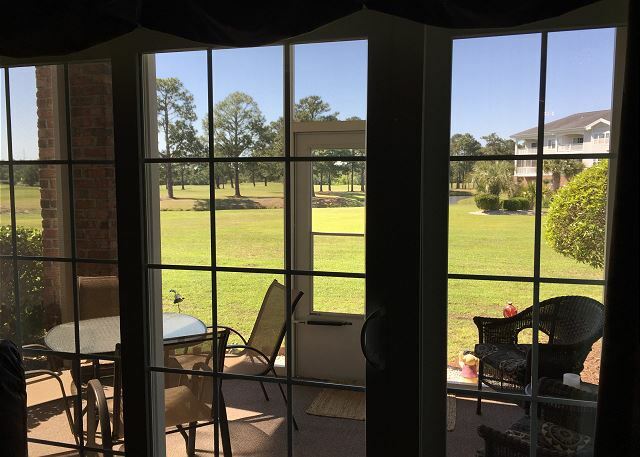 Spacious breakfast bar overlooking the open concept living area Walk out this first floor condo to your golf course view patio Walk out the back patio door and you are only steps to the pool! 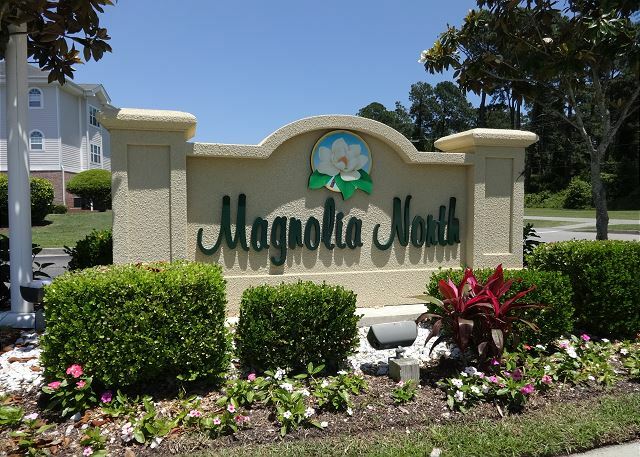 Magnolia North is conveniently located, less than 2 miles to Broadway at the Beach, and around 2.5 miles to the ocean! Enjoy family meals outside in your private screened in patio. Take a dip in this sparkling outdoor pool, only steps away from this condo. Winter rental available due to cancellation. 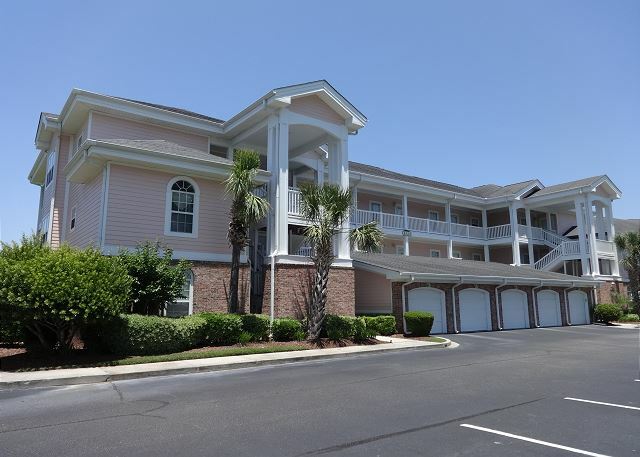 Magnolia North 102 is a beautifully decorated 2 bedroom condo located on the 1st floor in the Magnolia North section of Myrtle Wood Golf Course. 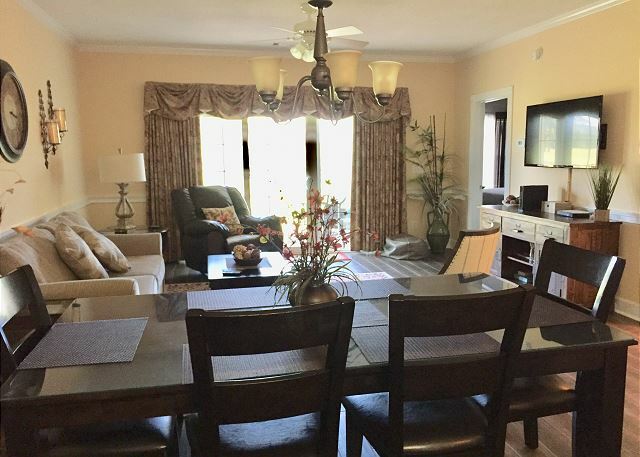 The condo has an open floor plan with a fully equipped kitchen, dining area, and living room which features a flat screen TV, sleeper sofa, and access to a great screened patio area. 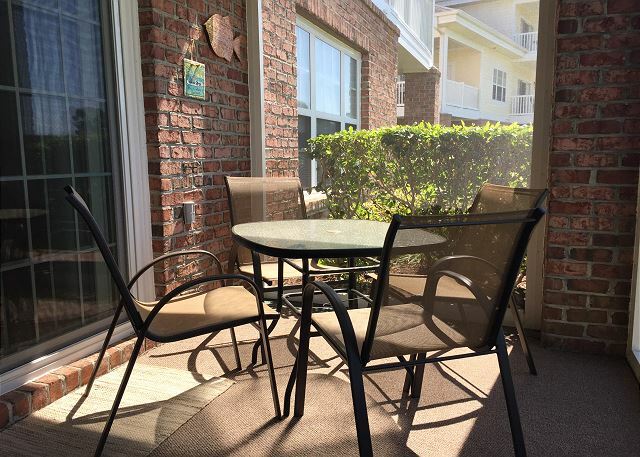 The patio area has a patio table and chairs to enjoy one's morning coffee. The master bedroom boasts a king size bed, full bathroom, and a flat screen TV while the guest bedroom features 2 twin size beds as well as a flat screen TV. 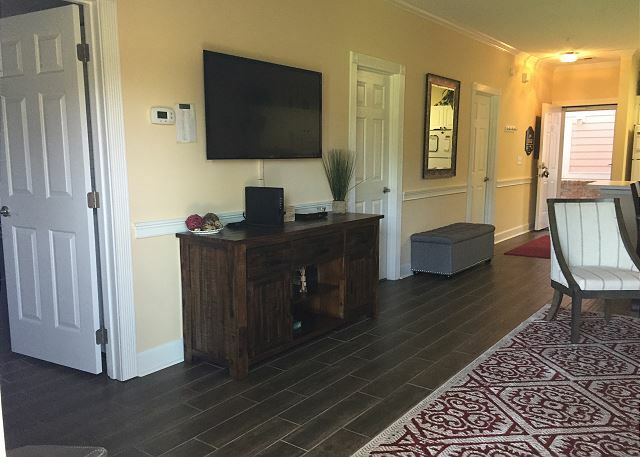 The condo comes equipped with a washer/dryer, ceiling fans, and offers WIFI and local phone service for it's guests. 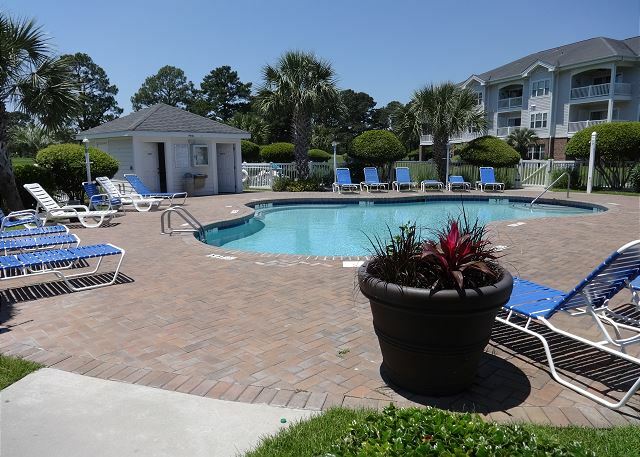 Just a short walk from the condo is a sparkling outdoor swimming pool. Magnolia North also features a BBQ grill area for guests to use. Personal grills are not allowed at the complex. Pets, motorcycles, and trailers are not allowed in this complex. 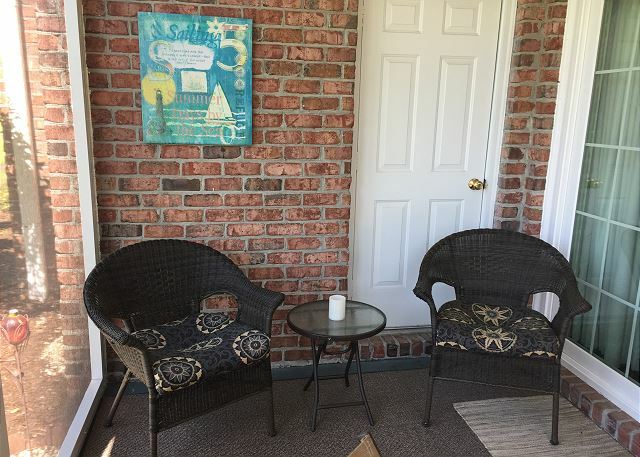 Accommodations were perfect, first floor condo, tastefully decorated with all the essentials. I would definitely return to Magnolia and request this unit! We could not have asked for better. 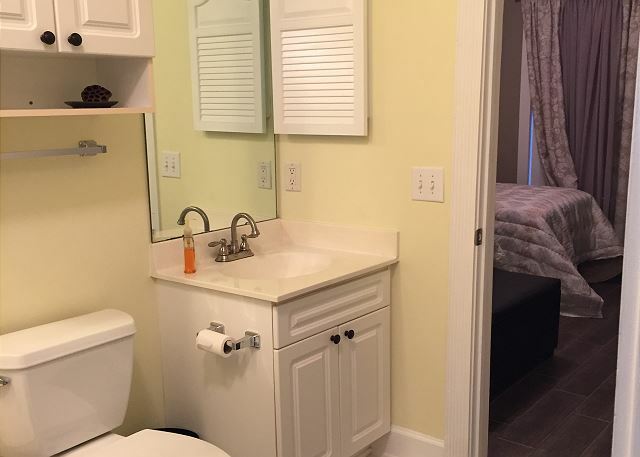 It was extremely clean-great location. Everything was perfect. We would go back in a heartbeat. Thank you for your kind words, Elizabeth! We are delighted by your comments and are glad our attention to detail impressed you. We look forward to welcoming you for another stay with us soon! Good day Shali, thank you very much for your warm review. We are glad the team made a difference and you enjoyed your stay with us. We are waiting to welcome you back on your next time. NICE & QUAINT STAY...LOVED IT!! THIS WAS OUR 1ST TIME RENTING FROM A RENTAL CO.& THANKFULLY IT WAS A GREAT ONE! WE'D DEFINITELY COME BACK TO THIS CONDO. IT WAS CLOSE TO THE POOL & ALL THE OTHER TOURIST ATTRACTIONS. IT WAS EXTREMELY CLOSE TO BORADWAY AT THE BEACH, HWY. 17 AMENITIES, ETC. THE AREA WAS QUIET, QUAINT, & PEACEFUL. I WOULD HIGHLY RECOMMEND TO FAMILY ORIENTED FOLKS. WE WANT TO STAY AT THIS PLACE THE NEXT TIME WE ARE IN TOWN. The view of the golf course was beautiful. Didn't like the bathroom tile, hard to keep it clean. This guest stayed 3 months and came into the office almost everyday to get their mail. We were unaware of any cleanliness or property condition issues throughout their stay. 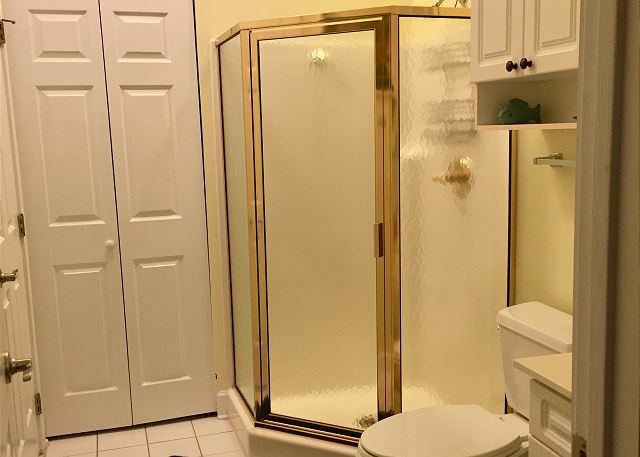 This condo has all new hardwood flooring throughout the living areas and bedrooms and white tile in the restrooms. 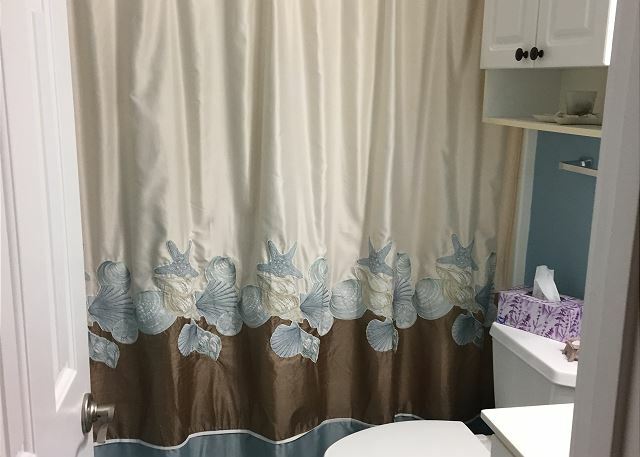 We can certainly understand white tile may be difficult to keep clean and may not be the style of some; but we feel it brightens the space and is inviting to vacation guests. Thank you for staying with Southern Coast Vacations and we were happy to have you as an extended guest in our property. This is the second time we have stayed at Myrtlewood Villas and it did not disappoint. This unit was very nicely decorated, clean and spacious. It was perfect for our long weekend trip. I would definitely rent this unit again. Thank you for choosing Magnolia North 102 for your stay! We hope to see you again on your next trip! Lovely place, wish the beds were better. 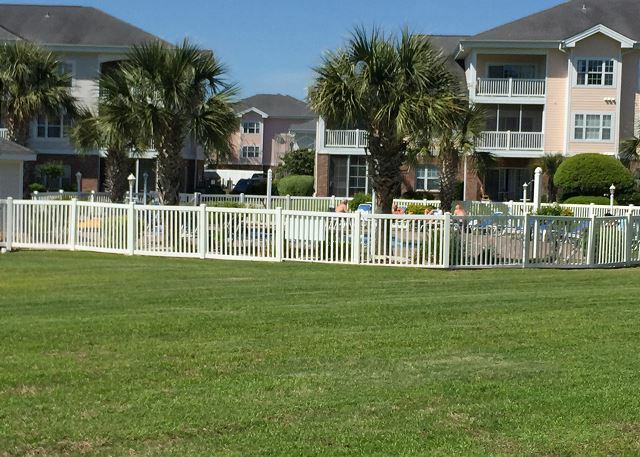 Thank you for staying with Magnolia 102 and Southern Coast Vacations.